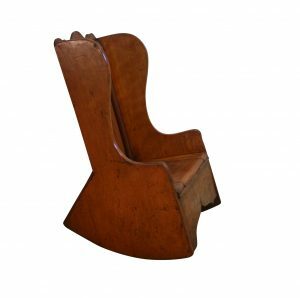 A Victorian cherry wood child’s rocking commode chair. 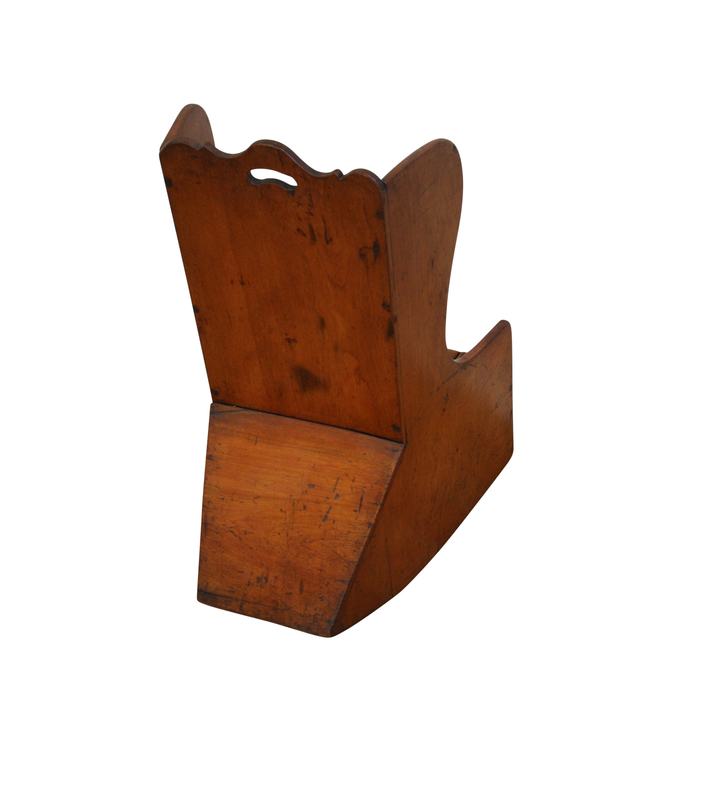 The shaped back has a carry handle to the top and is supported by two shaped sides. 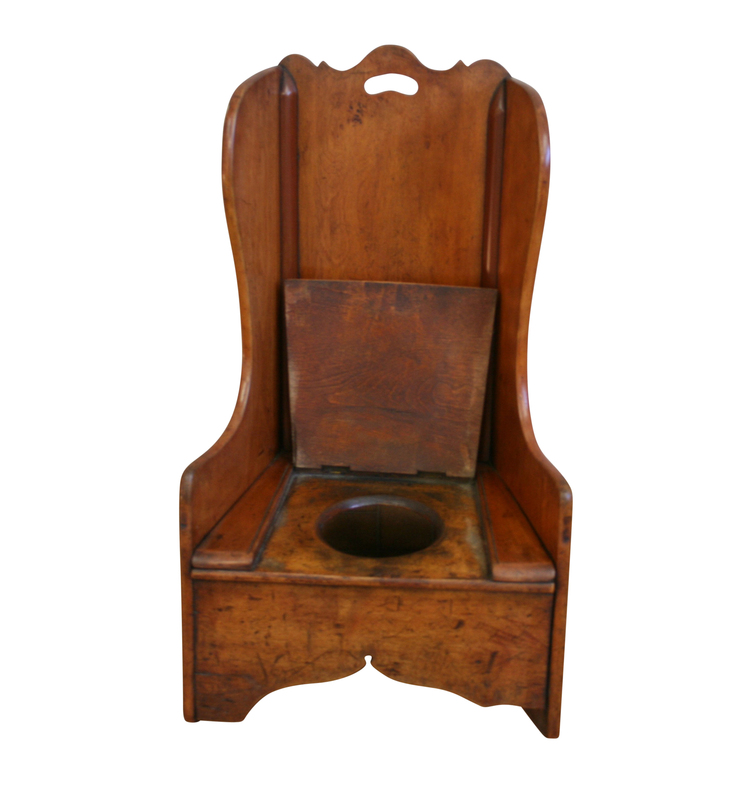 The base lifts to reveal the commode hole.